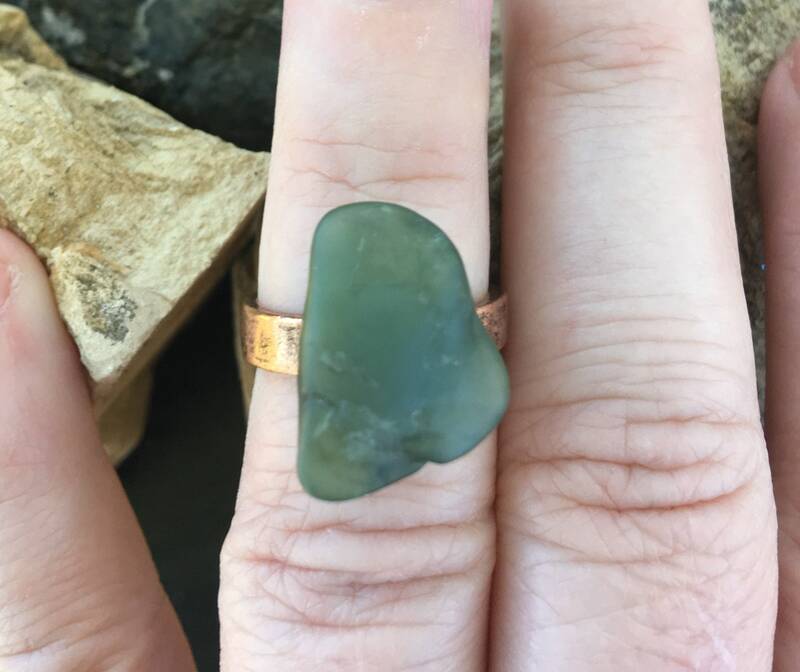 This beautiful, yet simple, Big Sur Jade ring is really pretty and has a cool shape to it. 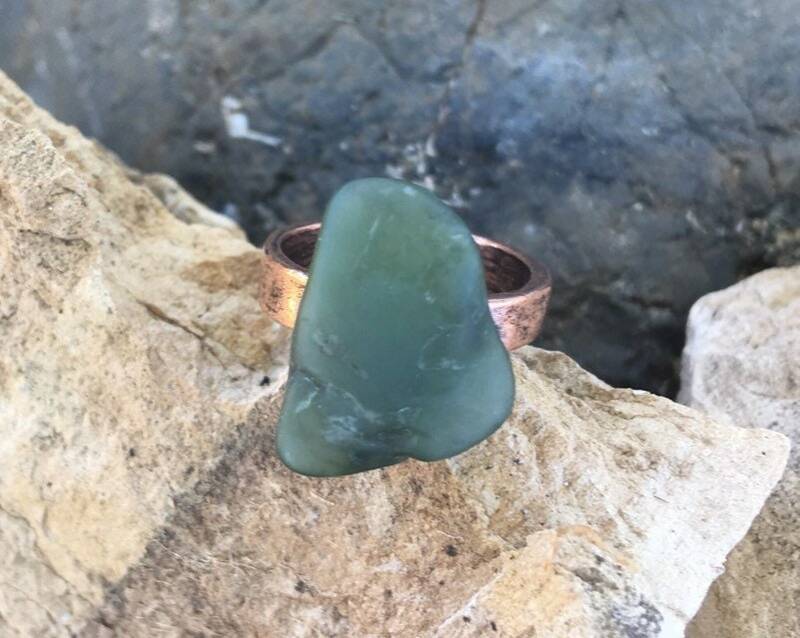 The color is a wonderful shade of green and is gem quality. 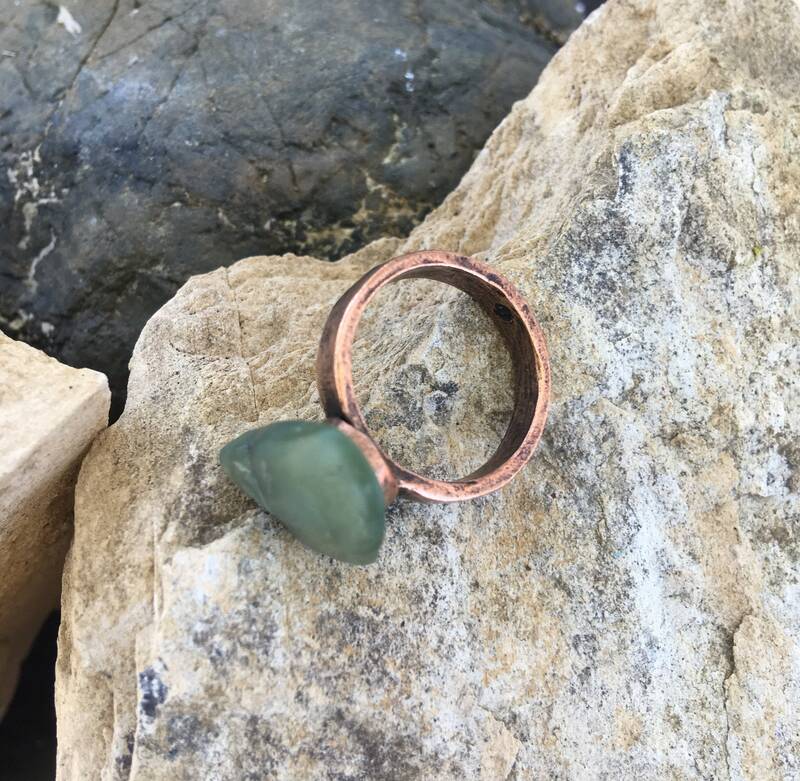 This copper metal ring is size 6. Be sure to check out our other jewelry!